Stockholm has been identified as one of the fastest growing cities in Europe and recently ranked as the world’s fifth most promising metropolitan region, mainly because of the power of innovation and the welfare system, but also for its attractive environment. The city’s decision makers and public authorities are well aware of this growth pressure and are constantly analysing it. In 20112012, Stockholm County Council and six municipalities financed the largest study ever analysing housing and office markets in Sweden, possibly in Europe. The goal was to explore how spatial variables from regional to local level affect the demand for housing and offices. The price study, conducted by our urban design studio Spacescape and the real estate analyst Evidens, shows with almost 90% accuracy what drives demand for apartments, houses and offices in Stockholm. We analysed 14,000 house sales and rents in 86 office areas with over 1000 different spatial measures in a GIS-system at a detailed level of address points, land uses, pedestrian street network, among others. The results have been an eye-opener for policy makers, planners, construction and real estate developers in the Stockholm region and in Sweden. The study identifies a number of qualities that drives the demand for housing and offices. The common entity of these qualities is basically walkability. Below we have summarized below the most pertinent qualities. Regional accessibility, by means of public transport (subway, commuter train and tram) is highly correlated with housing prices and office rents. For example, there is a 73% correlation with public transport accessibility (within 30 min walk) and office rents. Access to public transport affects apartment and housing prices and also office rents, qualifying the increase of transit-oriented developments and new subways and commuter lines. Surprisingly, car accessibility does not affect apartment and office values, and it has only a marginal impact on house prices. Density of amenities—shops, restaurants, culture and services—within walking distance affects both housing and office values and are also highly correlated to density: when density increases, the number of services within walking distance also increases. Statistical GIS-analysis shows that urban activities also require ground floor space and active frontages as well as a connected street network. This means that a neighbourhood with a high density of amenities also has a high population density, a connected streets grid framed by entrances and active frontages with the commercial spaces that create a diverse city environment at eye level. Street connectivity is another urban quality that contributes to spatial integration between neighbourhoods. 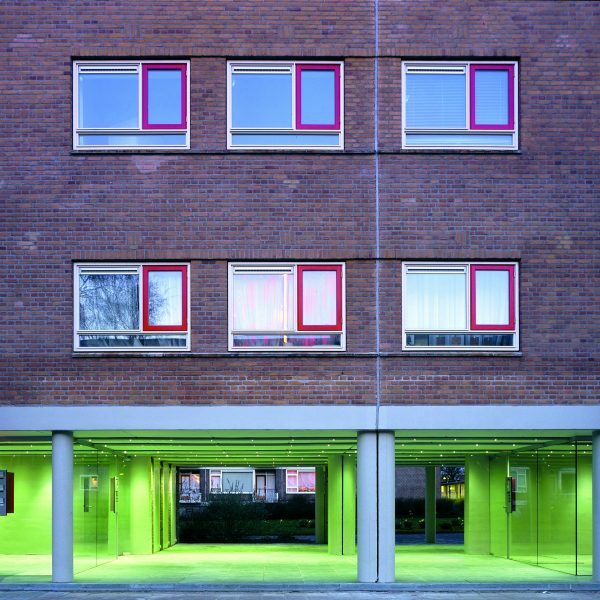 Connectivity is measured by the space syntax-measure of ‘spatial integration’, capturing how well street spaces as lines of sight are visually connected. The more connections a street has to other streets, the more integrated, or central, it is in the network. Tons of research shows that more integrated streets tend to have more people, activity and shops for people to experience at eye level. Hence, Stockholm residents prefer to live spatially integrated, not isolated in gated communities. This means that city districts with high connectivity where you can see and meet strangers in your neighbourhood streets are in demand. This is good news for those who think that connected public spaces are important to social integration of communities. Proximity to large green areas and water bodies are valuable for housing, but not for offices. In particular, large high quality parks create value for apartments. 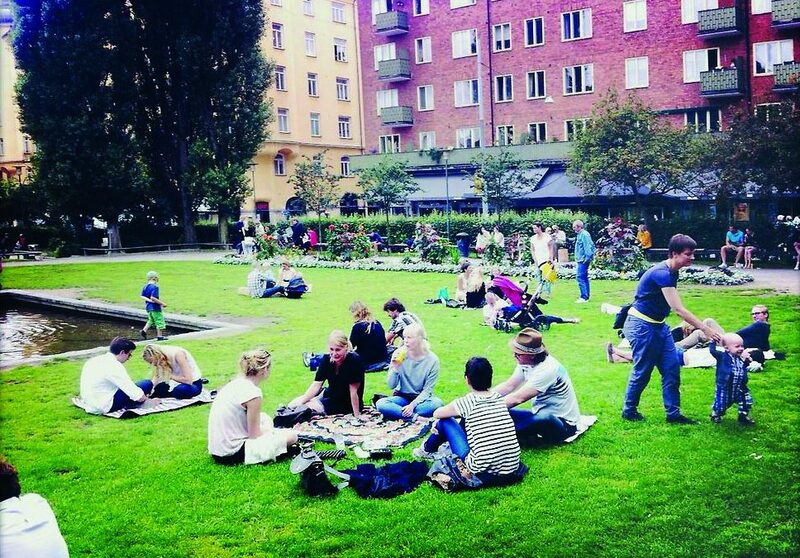 This means that people enjoy not only green but active green spaces where you can see and do things with other people. Parks are vital to a people-city at eye level. Building design is obviously important, but hard to measure. We conclude that the perimeter block with an enclosed courtyard is more attractive than the modernist open block typology (towers in a park), however it is important that block entrances face outward, towards the street. We interpret these findings that a city block that has a high density of entrances facing the street is more active and controlled and therefore creates a safer street at eye level, hence not only for visitors but also for residents. There is a demand to live by a street with active frontages at eye-level. Surprisingly there was no relationship between building height and housing or office value. At its heart, the urban quality study defines urban design factors crucial to walkability, i.e. being able to live your life in an area where it is safe and convenient to walk, where urban space is friendly and active at eye-level, but also where you are carindependent. The results are also similar to what other research projects have found to be significant for walking and car-free lifestyles. 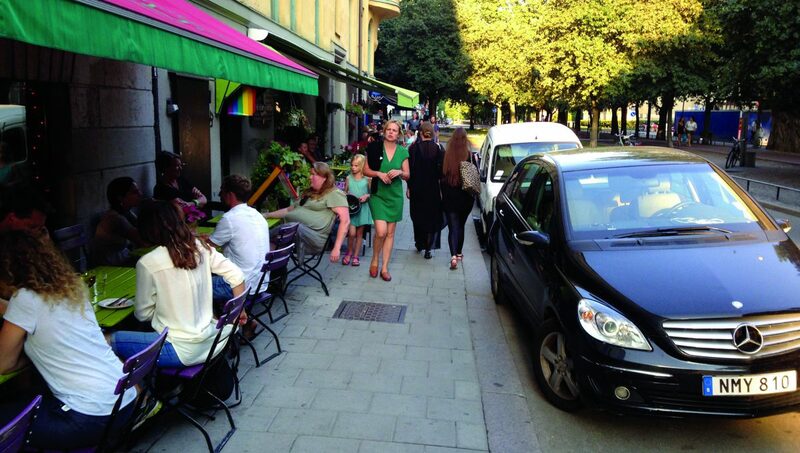 The Swedish Association of Architects and the Swedish Society for Nature Conservation have both listed ‘sustainable urban development’ and urban walkability (including these qualities) as key agenda items. Furthermore, the Stockholm regional development plan and Stockholm City Plan both focus on the development of a dense green walkable city close to public transport nodes. The City Plan for Stockholm is in fact named “The Walkable City”. Our study confirms that a walkable city—one that works for people walking—and that is attractive at eye level, is a city where people want to live and work. It is not surprising. Cities basically are, as Harvard-economist Edward Glaeser says, places for interaction, and when a city is designed for making that interaction meaningful and comfortable then the quality of life is enhanced, which in turn, supports prosperity and increased social welfare. 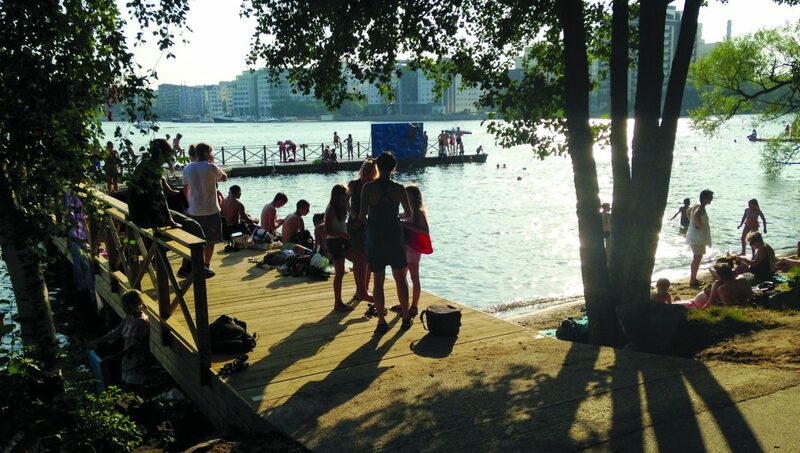 Stockholm is paving the way as one of the world´s most liveable cities. 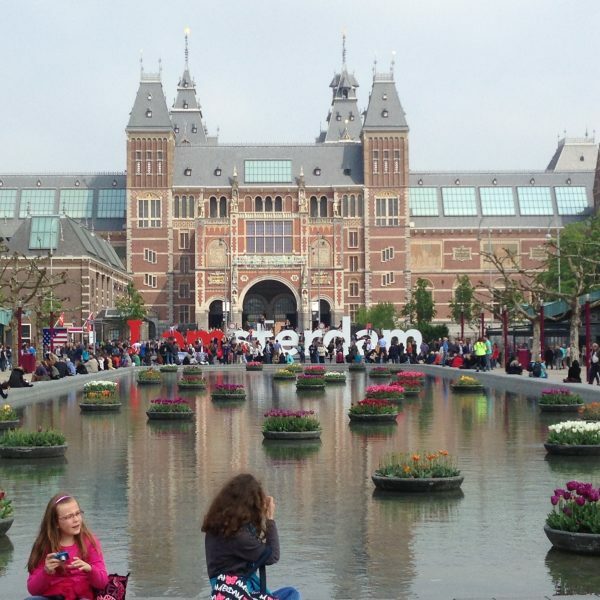 Will it keep up to the global competition of walkable cities? It is up to the politicians. The market clearly indicates its direction for the future. The study “Evaluation of urban qualities” in Stockholm consists of three sub-studies. The first two were on housing, prices of apartments and prices of houses, the third about office rents. In general the qualities identified in the statistical regression analysis can explain 85-90% of the differences in prices or rents. This means that only 10-15% can be explained by other factors such as interior design or architecture. Seven qualities that explain the prices of apartments in Stockholm refer to the design public walking space, sidewalks, active frontages, etc. Only one of eight refers to the socio-economic profile of the neighbourhood. Note that car accessibility did not affect apartment prices, even when only looking at suburbia as a separate market. Nine qualities that explain the prices of houses in Stockholm refer to the design of public walking space, sidewalks, active frontages, etc. Only one of ten refers to the socioeconomic profile of the neighbourhood. Four qualities that explain the prices of offices in Stockholm refer to the design public walking space, sidewalks, active frontages etc. Only one of five refers to the vacancy rate. Car accessibility was not statistically significant for office rents, even when only looking at suburbia as one market.